As Autumn vibes are in the air and the evenings are on the turn, we start to think of coming in from the garden and settling back down to our sewing machines. To get us back in the sewing vibe, we are going to hold a party to celebrate Sew Saturday. Everyone loves a party! 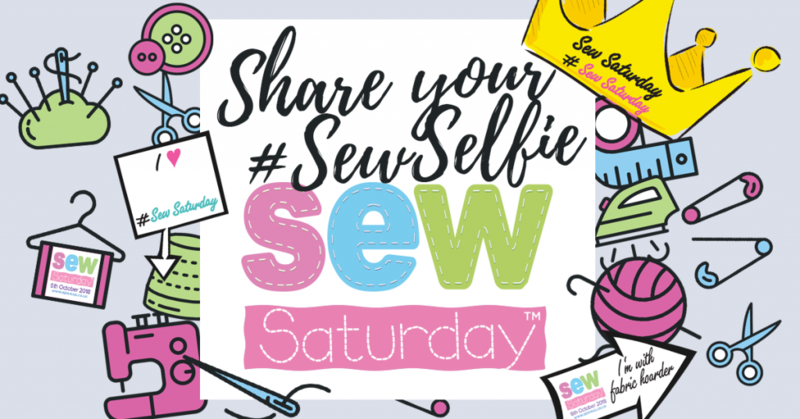 We have been involved in a couple of Sew Saturdays before but if you haven’t heard of it – its a campaign organised by SEW magazine in which lots of bricks and mortar shops sign up to celebrate all things sewing and we are one of them. I just wanted to share with you what we have going on during the day. Come along anytime between 10am to 4pm. There is no need to book and admission is free! Children’s make and take workshop with Susan – bedroom bunting that is suitable for both boys and girls. Knitted Knockers Charity Sew – We will be having the sewing machines out and welcome you all to come a help sew comfort cushions and drainbags which are free to breast cancer patients – a very worthy cause. free sewing demonstrations with Angeline Murphy from. We are setting Angeline up against the clock and giving her 3 Sew Saturday challenges that we can take home a try ourselves . And don’t forget that ARose Coffee shop will be open for all your refuelling needs – tea, coffee, cake and even lunches. I do believe that the sun is starting to peek through on a more regular basis and that spring may finally be here! I won’t say that too loudly though, in case I jinx it and it goes away. Officially the first day of Spring was 20th of March but we all know that it didn’t really feel like Spring at all that day. But now there is some heat in the air and in the soil, we may actually get some nice spring like weather. But with the sunshine comes some unforeseen problems – the house looks bare and grimy. So it’s time for a good old fashioned spring clean and an update. Now this can be as simple as some new cushions for the sofa. Or a fresh new bedpsread. Or tablecloth for those afternoon teas we’ve been talking about – or is that just my friends and I? Here at Elizabeth Rose NI, we have a wide variety of cotton fabrics for you to make just about anything. There are really too many to mention indvidually, but we are certain to have something for you. However we do have a slight favourite at the moment. Freedom Fabrics 2018 range is sure to find a place in your heart and in your home. Two of their latest ranges – Birds and Butterflies and Scottish Heritage – are available now and you may remember that we featured their ranges as part of our fabrics of the month back in February, when we thought spring was coming in. Now I grabbed some of the Scottish Heritage fabric range for a friend’s birthday present. Not the usual gift voucher I am prone to supply for such occasions. She now has all the fabric she needs to make herself a fab Bedspread or if she so chooses a stunning wall hanging. As with all the Freedom Fabrics ranges, they are 100% cotton so whatever she chooses, or you do, they will wash superbly. 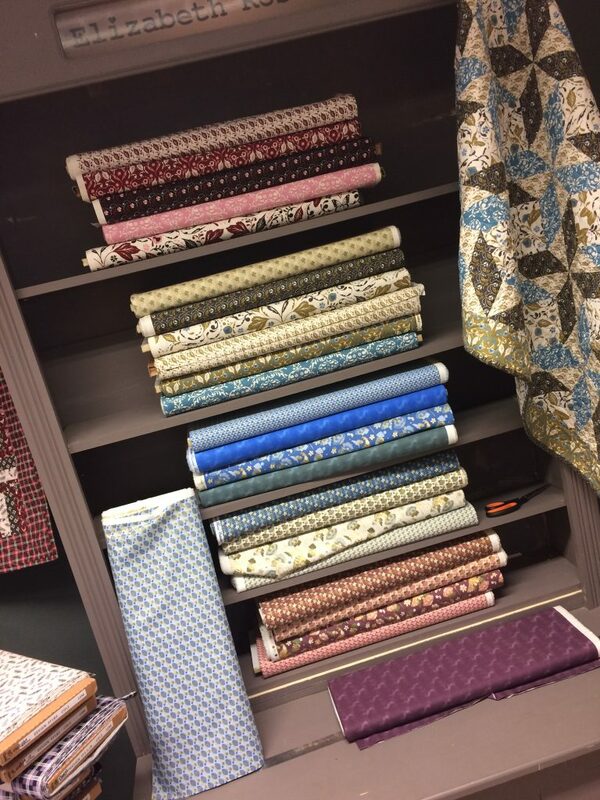 Come in store and peek though the full range of Freedom Fabrics range and indeed all the other cotton fabrics just waiting for your inspiration. Now on a slightly different note. We are always looking forward here and indeed some of the trends for Autumn Winter 2018 are already making an appearance. Don’t shout at us though, but there looks as if there will be some stunning colours in wool for all those winter jumpers. Need to keep warm if it is going to be as bad and as long as the one just past. But we are actually looking forward to our annual Sew Saturday event. We know that this event has become popular for all our crafty family and we will be letting you know more about the event as the months go on., but for now just a hint. We will hosting an unique sewing event and everyone can join in. Hope to see you and the sunshine soon. Inspiration comes in many forms as we all know. You can be doing the dishes and an idea can hit you. Or cutting the grass. Ok maybe not the grass in this weather but you know what I mean. Now I am sitting at the computer looking out on the grey skies and the rain and inspiration has hit me! Socks! A bit strange I grant you but let me explain. I am sitting here actually thinking about my wellie boots, which are totally necessary in this weather, and how ordinary socks just do not cut it for comfort and warmth when I wear them. And then they slip down and sometimes even come off when you are taking them off. Many a time I have been seen hopping around trying to fix my socks on a muddy path. So hence why I have been thinking of socks. In store we had our sock knitting masterclass back in November and it got myself and Charlene inspired. We took up our needles and made our first pairs of socks. Yes we even finished them! But now several months on and what should arrive, but Rico’s new specialist sock yarns. 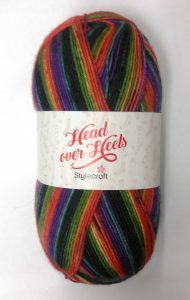 Back in November when we started our Sock knitting journey we only had Stylecraft’s aptly named Head over Heels sock yarn. But now the market has really blossomed and with the addition of the Rico Yarn we are now up to 5 varities – enough for everyone to have a fab pair of socks! The nice thing about the sock yarn is that one 100 gram ball of wool will knit you a nice pair of socks – just one ball. Of course if you want longer socks then another ball is always good. The skies the limit. So I am still waiting for Spring to spring. Everytime I think this is it – nope more snow. Spring has been promised so I am putting this latest cold snap down to a wee blip on the radar. However, the plants are still coming through and making their presence felt in the borders and giving us the desired colour needed to brighten up our days. And it is these borders that has given us our inspiration for Spring. I love Daffodils! Bright yellow. Soft yellow. Pale yellow. Vibrant green. The fresh spring smell of them. The brightness they bring to the room. Yes, I just love Daffodils. They just remind me of brighter days, longer evenings and the hope that this weather will turn into something beautiful as well. Plus the never disappoint. They start off as a ball of hope and end up making a real statement. Our fabric and yarns are not disappointing us either with their new Spring colours. Sirdar have also launched another section of their highly popular Snuggly range and have called it Doodle. 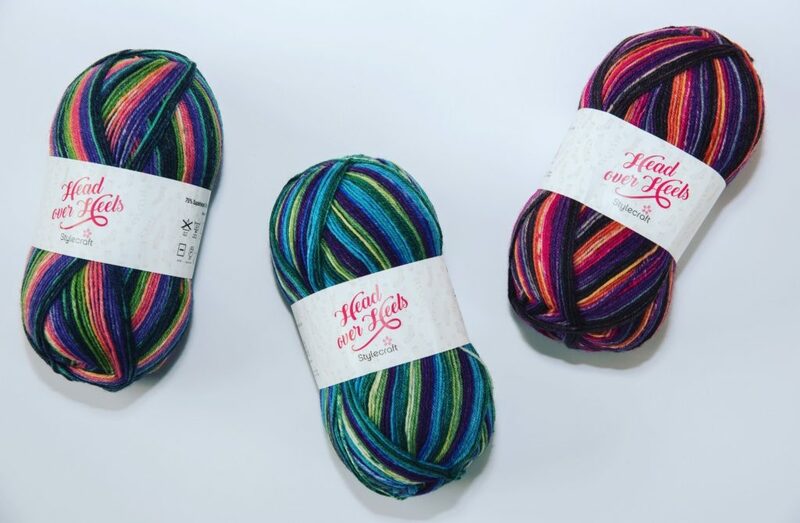 With 8 stunning colours this new spring range is bound to take your inspiration to new heights in what you can knit the little one in your life. No surprises that this is our Yarn of the Month. The pattern selection that accompanies the Doodle range, ranges from cardigans to blankets and bootees and even a small cuddly toy. 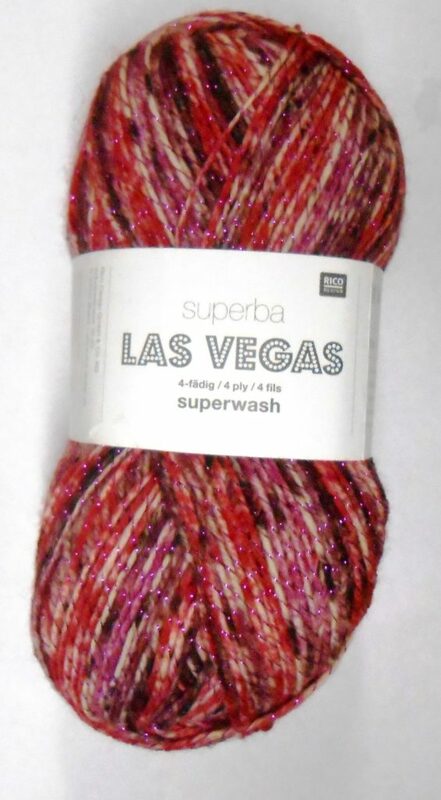 As has come to be expected from Sirdar the yarn is easy to knit with and will wash well. Important for all us mummy’s. Speaking of Mummy’s, Mothering Sunday is right around the corner too, so how about getting her some Daffodils just to say thanks. Or I love you. Or just because. Order your bouquet or arrangement today before the rush sets in and brighten her day. Other flowers are available if your mummy is not as keen on daffs as me! Or even combine flowers with a ball or two of wool. Sitting here in ERNI HQ, glancing out the window I am still looking at frost and snow and grey skies. But there are some hints that there are brighter days ahead. 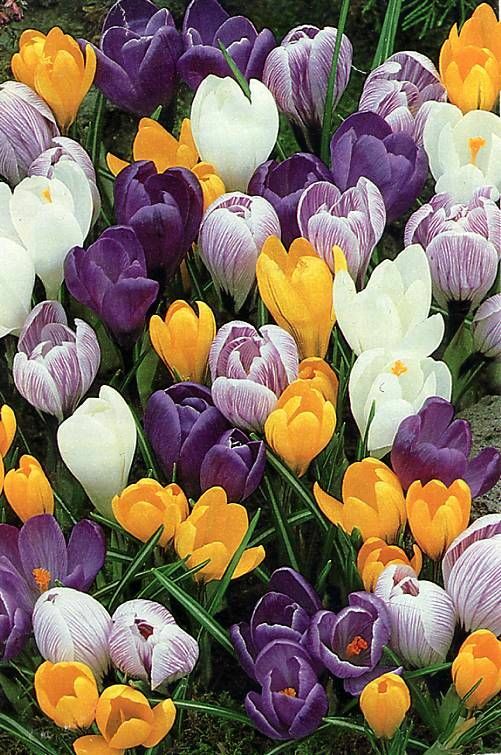 Snowdrops and Crocus are blooming and brightening their borders and Daffodils are starting to reach their petals towards the skies as well. With all these promises of brightness and colour entering the garden, my thoughts have turned to the inside and to brightening up my wool stash and fabric hoard. I call them those names on purpose. And let’s be honest with each other we all have them. Maybe different names and definitely different sizes but we all have them. Those balls of wool that you picked up with such good intentions. Or that fabric that you fell in love with but now have no clue what to do with it or even where to start on any of it. Well here at Elizabeth Rose NI we have all the inspiration you need on hand. We have new Knitting and Crocheting patterns for everyone – from children’s to men’s and everyone in between and home wares too. We also have all the accessories that could ever hope for. 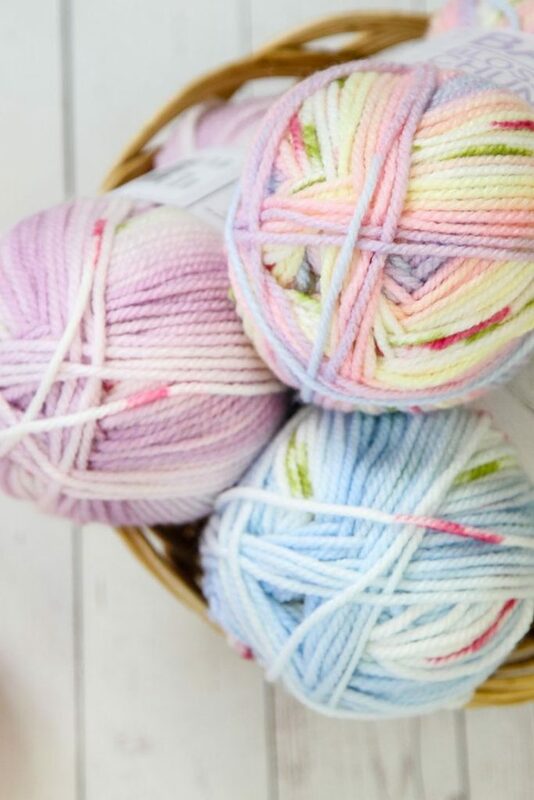 And with new colour combinations and spring colours in yarn like our ever popular Stylecraft yarns available in our shop now http://www.elizabethroseni.com/product/stylecraft-special-dk/ there is always something for you to fill your needles and hooks with. We are on hand too with the fabric hoard! There are new patterns for quilts and new fabric too. I know I said I would try to help you to get rid of the stash and the hoard, but again let’s be honest, you can never have too much. Our fabric range of the month is by Freedom Fabrics and as you can see they have leant heavily on florals for their inspiration for these collections. The floral collection comes in three ranges – Heritage, Oriental and Arts and Crafts. The colour combinations all merge with one another meaning that this entire range can be used together for a myriad of items. And for those who love to sew clothes, we have new dressmaking fabrics coming in all the time and do not forget that because the majority of all our fabric is 100% cotton there is no limit to what can be done to brighten up yours or your loved ones wardrobe. A simple skirt in a retro patterned cotton would be so nice paired with a white t-shirt. Or a blouse in our light and airy swallows fabric http://www.elizabethroseni.com/product/peach-swallows/ again available by following this link. With all this inspiration available here at Elizabeth Rose NI, you may not actually see much of the spring but, on the bright side, you will miss all the showers and cold winds. With the first month of the year over – thank goodness it felt like it would never end!! – here at ERNI HQ we are looking forward to the rest of the year and what it could bring and, more importantly, what we could bring to you, our lovely crafty family. Well as you can imagine the tea and coffee was brought out and the creative juices started to flow. We have the buds of ideas. Plus the seeds for a few other projects that we are really excited. So please stay tuned to both our website and Facebook pages for more on that. As per usual we will be dropping a few hints and the shop will also be full of ideas to keep you going. Traditionally, February is the month of love with Valentine’s Day coming and we are no different. With Flowers, Fabric and Yarn we are sure to have everything that you love and more. We will of course have all your floral needs taken care of for Valentine’s Day. So if you wish to be showered with roses this year, drop the hint that Elizabeth Rose NI will be on hand to take the stress out of ordering the bouquet of your dreams. 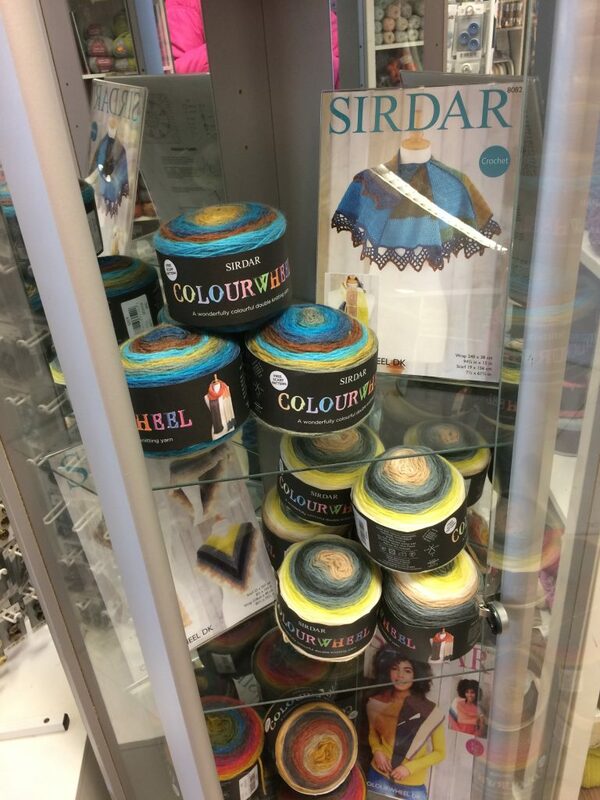 In store, our 2 products of the Month for February are sure to make you fall in love too – Sirdar Colour Wheel Yarn and Freedom Fabrics new Floral range. Freedom Fabrics are all 100% cotton and the three floral combinations in the new ranges will compliment most colour schemes. The Oriental Floral range shows the beauty of the Far East and takes you away on a mystical adventure. The Arts and Crafts Floral range shows the simple patterns and shapes that made the 1920’s and 1930’s such a rich era for Home crafts and show that these classic styles have stayed the test of time. The last part of the new range is Heritage Floral and true to it’s name taking us back in time to the Baroque period. All three sections of this range work well together and with several colours in each range the possibilities are endless. Call into the shop and see one of the quilts already made up in this range and get the feel for this fantastic range. It really is a stunning take on the humble flower. The fabric in the range, ranges from £6 – £8 per metre. Now moving onto our Yarn of the Month which is the new colour range from Sirdar in their Colour Wheel collection. This product really is fab! I am hooked. The ball is 150gm weight which is perfect for those quick projects like a scarf, shawl or hat and gloves. Which is great because the ball of wool comes with the pattern in the ball band for a scarf with at least a dozen patterns sold separately as well there is plenty for you to knit up. But this is were I am hooked – they do crochet patterns too. One ball of wool, either a hook or a pair of needles and one finished product. Absolutely perfect for a short month and a quick project. I plan to take a ball and a hook away with me for holidays and lie by the pool and be productive. I plan too, I may not. Each ball is £9.99 and both the Summer 2017 and Spring 2018 colour ranges are available in store today. Keep a look out on line here for more products of the month coming with inspirations and as hinted a few workshops to keep you busy. So we are back at Elizabeth Rose NI after the Christmas break. Well truth be told we have been back open for a while but this is the first time I have actually been near the computer to say Happy New Year! It’s hard to believe that Christmas was almost a month ago and all the workshops we had planned are finished and a distant memory. But what a lovely set of memories we have. The workshops really were a great success as Charlene got to meet more members of our extended “crafty family” and the result of the workshops were fabulous. You really are a creative bunch. Check out our Facebook page to see if you can see yourself and maybe even get inspiration for something to do next year. Well as we are into 2018 with a bump – snow, hail, rain, high winds – it seems to me that the weather is giving us subtle hints to stay indoors and do craft!! And with that weather it really is the perfect timing to finish off those PHD’s – projects half done!! We have a range of fat quarters, fabric panels and bolts all down to half price in case you decide to make something brand new for 2018 or just need to stock up on the fabric needed to finish your PHD. New colours of yarns and new ranges of fabric are arriving in all the time and for us it is like Christmas has never stopped. Lots and lots to unwrap. Lots and lots to get excited about too. We are planning a few workshops for the not too distant future and this year we will be focusing on the main home crafts – sewing, knitting and crocheting. Stay tuned for more information and for our upcoming feature of Product of the Month. In between all the running around the cleaning, tidying, decorating and present shopping the mind turns to how long are you actually going to be at home for Christmas. We have been thinking about that here at Elizabeth Rose NI HQ and after much thought and cups of coffee and tea we have finally decided on ours. 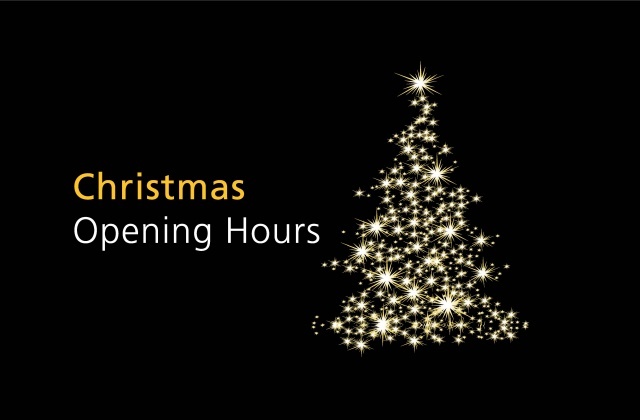 We will close on Saturday 23rd December at 5pm and then re-open all refreshed, and turkeyed out, on Tuesday 9th January. As with other years we will not be opened on Mondays in January but will return to normal opening hours from Monday 5th February. Thank you for all your friendship and custom over the past year and we hope to see you and make more friends in 2018. I hope this post finds everyone well and not too battered after the storms. Ophelia and Brian certainly shook a few things up and the children enjoyed a couple of days off. Now with them out of the way, you can tell that the cold weather has definitely set in and this crafter’s mind has turned to what crafty things we can do sitting in front of the fire. To help you with that our new knitting and crocheting patterns and their yarns have arrived in and this year’s winter colours are super rich and almost look like jewels in a sea of misty grey and green. Hayfield’s new Spirit range is just that – rich and colourful but soft to the touch. This self striping variegated yarn is easy to knit into a variety of items and the colour range is sure to break up the sea of black and grey that seems to descend at this time of year. However if yarn crafts are not your thing and you prefer to be at the sewing machine, do not worry we have you sorted too. Our Christmas fabrics continue to arrive in and this year it sees a much more muted palette but still based on the traditional reds and greens. As you would expect from us at Elizabeth Rose NI, our fabrics are all 100% cotton and come in an extensive range of colours and designs. The Nutcracker series though is my personal favourite. 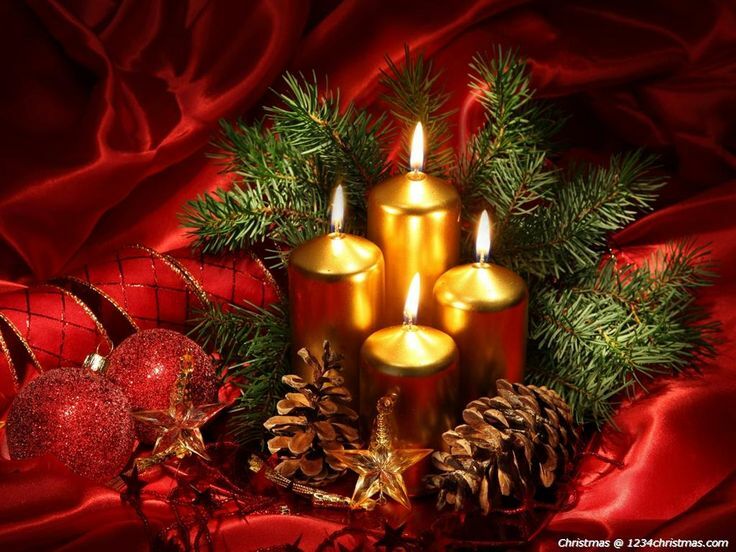 and Christmas Table decoration workshops. In these Charlene will be leading you through how to make and creation fit for your front door or table and also how to keep them looking fabulous throughout the Christmas period. Places are limited for these workshops so book early to avoid disappointment. 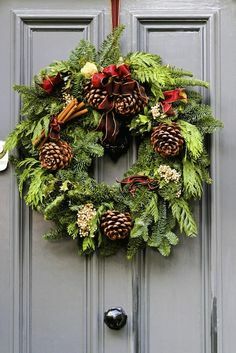 http://www.elizabethroseni.com/product/christmas-wreath-workshop/ and http://www.elizabethroseni.com/product/christmas-table-arragement/ will take you to the website shop to book or alternatively call into the shop and book in person. As always we look forward to seeing you soon and keep an eye out on our Facebook and Instagram pages for all our new fabrics, yarns and more. Finally we have unwrapped everything. All the panels. All the fabric. All the yarn. It is all unwrapped and it’s all on the shelves. Today I am going to talk about the yarn. The shelves are bursting forth and here is just a little bit about their bounty. We are very excited to have several new ranges of yarn instore and their names just conjure up warm autumn evenings beside the fire. Crofter, Blossom, Spirit, Head over Heels and Squishy to name but a few. The Hayfield blossom range is designed for babies and girls and is super soft to the touch. It comes in a range of colours and knits up so easily. But what stands this yarn apart from the others this autumn is the simple way it knits itself into a delicate pattern of graduated stripes and fine baby blossoms, hence the name. It is really intarsia without all the hassle. The range of patterns that comes with the range are fab and include hats, matinee jackets, romper suits and jumpers. Blossom comes in both double knit and chunky so the range of items that you can knit is endless. Head over heels is our specialist sock knitting yarn and has arrived just in time for our sock knitting course. We have 3 different colours so there is bound to be a colour to keep all the toes in your family warm this winter. Anyone else say Christmas socks for stocking fillers this year? 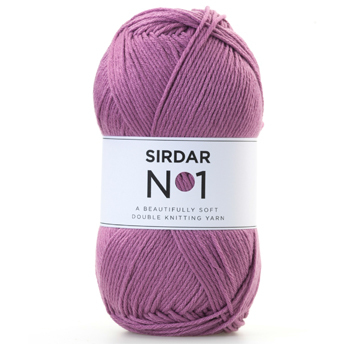 Sirdar have launched No1 this year and it is their all purpose double knitting yarn. It simply is a beautiful soft double knitting yarn. The yarn can be knitted up into any garment you have a pattern for and they have a myriad of colours available. In Elizabeth Rose NI, we have chosen their blue and berry ranges to tie in with this the season of mists and mellow fruitfulness. Stylecraft also have launched 3 new colours for the autumn winter season and their names Lapis, Lincoln and Blush just conjure up a crisp walk on a clear day making cheeks pink to me. But then I am an old romantic. Another new range in is the Sirdar Tundra, a super chunky yarn that is an 80/20 mix of acrylic and alpaca. I have never seen a cold alpaca so I can only imagine how warm this yarn would be and as it is super chunky it will knit up super quick. The colours in this range are very warm but muted natural colours; perfect for this time of year. Hayfield have also launched a range called Spirit; a beautiful naturally coloured range all in double knitting and like the Tundra range is muted autumnal colours and knits into beautiful variegated stripes. Subtle but effective. Last but not least there is my favourite named range of wool ever – Squishy! Just sounds so cuddly doesn’t it? 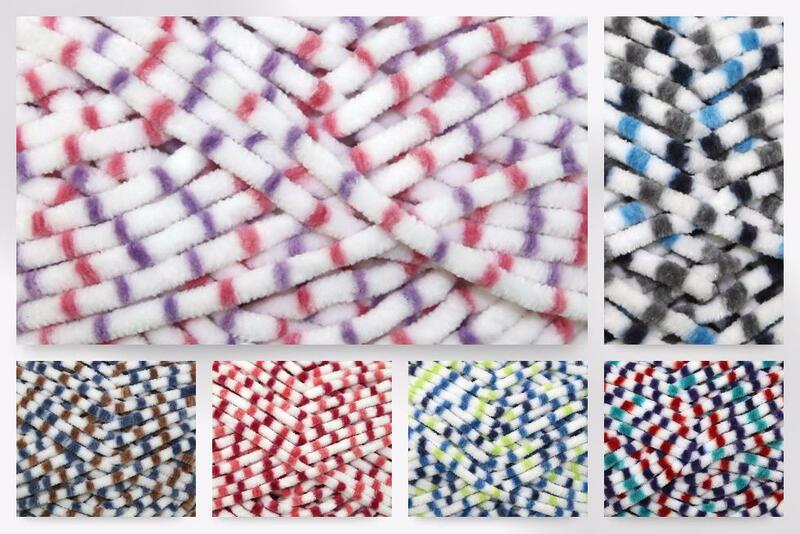 This is the latest range from the Sirdar Snuggly selection and is a chenille based white yarn with different colour prints. Even in ball form it lives up to it’s name and I cannot leave it alone. So that is just some of what we have on offer, so why not call in and see what takes your fancy. I am away to fill up my yarn stash and plan what I am doing while the nights draw in. WHAT WE ARE UP TO….